The animal kingdom is home to a large variety of animals that live in mountains, rivers, seas, plains and trees. Each of these animals is unique in their own right and lifespan is one such distinguishing feature. From the long living tortoises that may live for more than 300 years and elephants that live for as much as 80 to the shortest living mayfly and fruit fly that lives for less than a week, Nature has a place for all. Here is our list of the shortest living animals in the world and some interesting facts about them. The shortest living animal on Earth has a lifespan of only 24 hours and completes its life cycle within one day of its birth. Within this short time, it only reproduces and dies soon after. Most of the mayfly’s life is spent as a nymph (a stage before metamorphosis) and it lives as a mature individual only for a few hose. Some species of mayfly die in less than 24 hours, mostly living up to 8 or 10 hours. This tiny marine organism has a lifespan of 3 days and most of this time is spent swimming along the currents. The Gastrotrich is only 3 millimetres in length and has a transparent body. It swims with the currents until it finds another marine organism to attach itself to. Then it uses the small tube-like structures on its body to latch onto this animal and reproduces there. This shortest living animal has both male and female reproductive organs in a single individual. Ants live in large colonies with a fixed division of labour based on the anatomy of the individual member. In such a colony, the males are called drone ants and they have a life cycle of only 3 weeks. During their life, their only function is to mate with the queen and help with reproduction. They do not participate in the building of the colony or defending it and are fed by other female members of the colony. The drone dies soon after it has mated. You have probably seen these pesky insects flying around your house during the monsoon but did you know that the house fly is one of the shortest living animals in the world? They have a lifespan of only 4 weeks though houseflies that live indoors tend to have a longer life than those that live in the wild. Despite the short lifespan, the female lays over 1000 eggs. There is not a specific breeding season for this animal and each female lays eggs once in her lifetime. The dragonfly has one of the fascinating flights in the animal kingdom and can be compared to a helicopter. It also has one of the shortest lifespans in the world and lives for just about 4 months. However, in the wild, it rarely reaches this number. 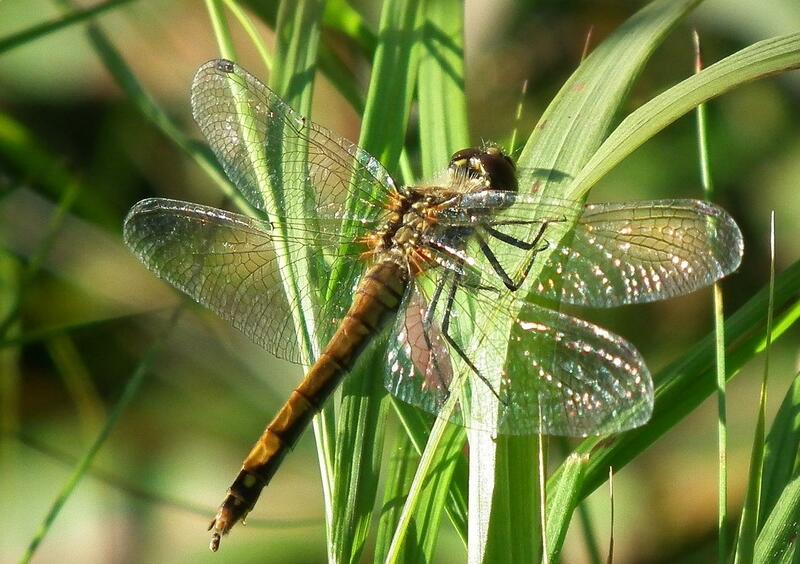 There are a number of predators that eat the dragonfly in adulthood like spiders, other insects, birds, and reptiles. Even in the larval stage, it is preyed upon by these birds. Adverse environmental conditions like strong winds, cold and heat may also kill this insect prematurely. Dragon Millipede is listed under beautiful pink animals in the world. Like the housefly, mice are also familiar faces in many neighbourhoods. The average lifespan of a house mouse if 1 year but it rarely lives this long, making it one of the shortest living animals. It has many natural predators like large birds, animals and reptiles. They are also killed due to human intervention in the form of pest control. However, despite the short lifespan, they breed very rapidly ensuring that their population does not decline. Mice are some of the fastest breeding mammals in the world. There are many species of chameleon and are found all over the world in tropical and temperate climates. Panther chameleons have the shortest lifespan among chameleons and are also the shortest living reptiles. They live on an average of one year but breed very fast. Interestingly, the entire previous adult generation dies before the new generation hatches from the eggs and this ensures that the population of this species is more or less constant. Chameleons are noted for their ability to change colour and can easily blend in with their environment. This fish is native to the United States and lives in saline and freshwater but has a different lifespan in each environment. On average, it lives up to two years but its life in fresh water is longer than in saline water. Also, it is known to have a longer life in captivity than in the wild. The advantage of living in saline water is that most of its natural predators cannot survive in this environment and this reduces its chance of being eaten as prey. Females generally have a longer life than males. Guinea Pigs are one of the most popular pets in the world but unlike what the name may believe, they are neither from New Guinea nor are they related to pigs in any way. They are in fact native to South Africa and are a species of rodents. They have a lifespan of 4 years but usually, do not live this long. They are very prone to different diseases like scurvy and bronchitis and it is difficult to see the symptoms in these shortest living animals until it is too late. Improper feeding habits, lack of care and no medical attention may also lead to a shorter life. Since this animal is also used for a number of medical experiments and medical trials, the deliberate injection of drugs and other disease-causing chemicals also significantly shortens the lifespan of this animal. It is also listed as one of the friendliest animals in the world. Rabbits are familiar visitors to farms and wooded neighbourhoods and are also popular pet animals. They are however one of the shortest living animals in the world with a lifespan of 8 to 10 years. In the wild, rabbits have many natural predators like birds, reptiles, large carnivores and snakes and so they tend to have a short lifespan. Domesticated animals too, however, have a rather short life because of different reasons. Firstly, they are susceptible to many medical conditions ranging from nutritional deficiencies to cancer that may lead to death. Since these diseases cannot be easily detected in rabbits, they are often ignored and not treated on time. Secondly, Rabbits have specific dietary requirements and too many roots and fruits can be harmful to them. They also need a lot of water to stay healthy. Since these requirements are not popular knowledge, they are ignored leading to the animal’s death. Have you observed the life of any of these animals? Why do you think they have such a short lifespan? Animals that do not live for long have evolved several strategies to ensure the survival of the species. They have very short gestation periods if any and also produce a large number of progeny at a time. This ensures that at least a few of them go on to reproduce in their adult lives. It is very interesting to observe the lifecycles of these animals and many principles of genetics were derived by observing the life of a fruit fly, that has a very short lifespan. These are the shortest living animals in the world. Do post your comments.